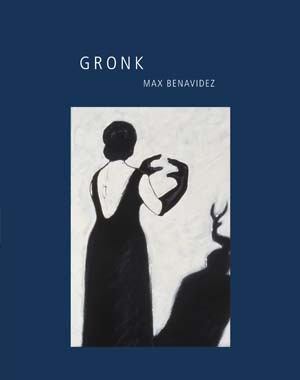 In this sweeping examination of Gronk’s oeuvre, Max Benavidez elucidates how the artist can cross genres, sexual categories, and ethnic barriers, yet remain true to himself. From street murals to mail art, from large-scale action painting to performance art and operatic set design, Gronk has made a lasting mark on the Chicano art movement, the punk scene, gay art, and the cultural world stage. What Benavidez ultimately reveals is Gronk’s uncanny power to reinvent himself and his art, moving through one vivid artistic and subcultural scene to another. Add large doses of Gronk’s wit, irony, and talent, and you have the story of his major contribution, not only to Chicano culture but also to late-twentieth-century art. To learn more about the A Ver: Revisioning Art History project, click here. "Benavidez's well-researched text, generously illustrated by Gronk's art and photographs from the artist's life, we come to understand not only the importance of his art but also the personal and historical events that inform his artistic vision."